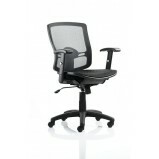 Onyx Ergonomic Chair with headrest The Onyx chair from Dynamic Office Seating is a fresh, contemporary office chair that offers a range of inspired features such as height adjustable headrest and height adjustable arms, independent back ..
Opus Xtra Task Ergonomic Chair High back task ergonomic chair has height adjustable arms and fully independent mechanism. 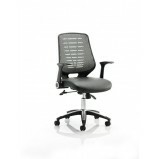 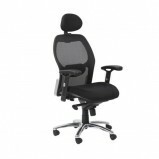 The dynamic Opus Xtra task chair from Torasen ticks all the boxes when it comes to extra features and benefits s..
Orthopaedica 200 Mid Back Ergonomic Task Chair Orthopaedica is a comprehensive range of ergonomically responsive task seating designed to meet the challenging conditions found in today’s commercial environment. 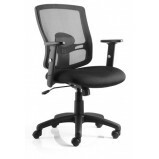 Boasting an impressive lis..
Orthopaedica 300 High Back Ergonomic Task Chair Orthopaedica is a comprehensive range of ergonomically responsive task seating designed to meet the challenging conditions found in today’s commercial environment. 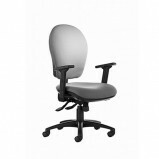 Boasting an impressive li..
Phonic High Back Meeting Booth Sofa UnitsThe Phonic High range includes a high back acoustic booth to provide privacy and noise reduction while working , with optional additional extras transforming it from a sofa into a multimedia enabled ..
Phonic Low Back Sofa UnitsThe Phonic Low is a range to complement the Phonic High, with additional power accessories to allow social and relaxed working. 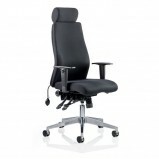 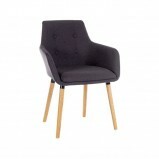 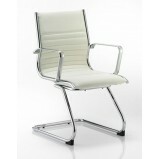 Available in a range of fabric colours to ensure it complements your existing interior..
Soft bonded leather Chrome frame with matching cantilever frame Stylish one piece seat and back design Chrome frame Options Black or white leather Matching executive version available in black and white ..